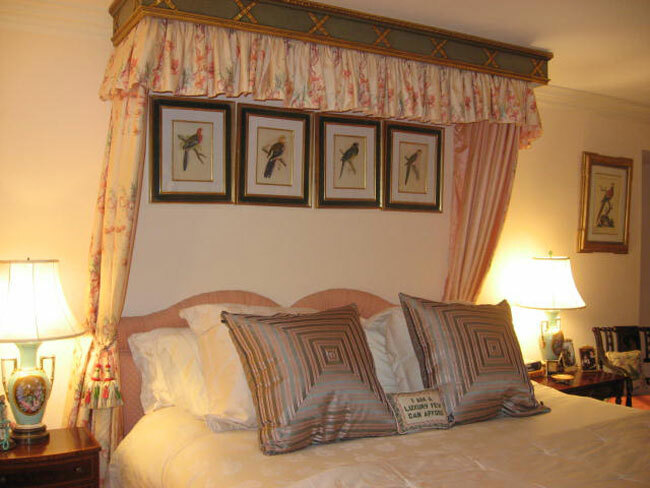 Scalamandre Fabric tied back with jumbo Scalmandre Silk Tassle Chord drapes this King Size bed, topped with a Gold Leaf Crown Cornice which, I designed for the space. The Bird Prints are a series from 18th Century Watercolor Collection. My Bedding Design is Lee Jofa Embossed Silk Fabric.